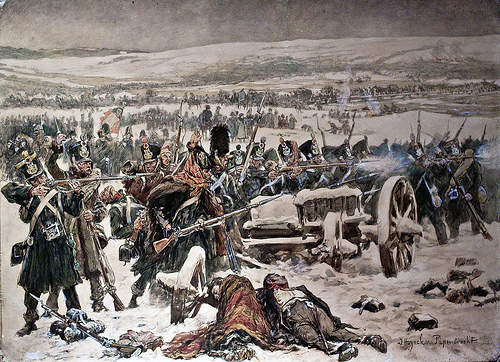 Just a quick note to say that we’re planning to conclude the “Battle of Berezina” Rearguard action that the club set-up and played on the Monthly Sunday & last Tuesday. 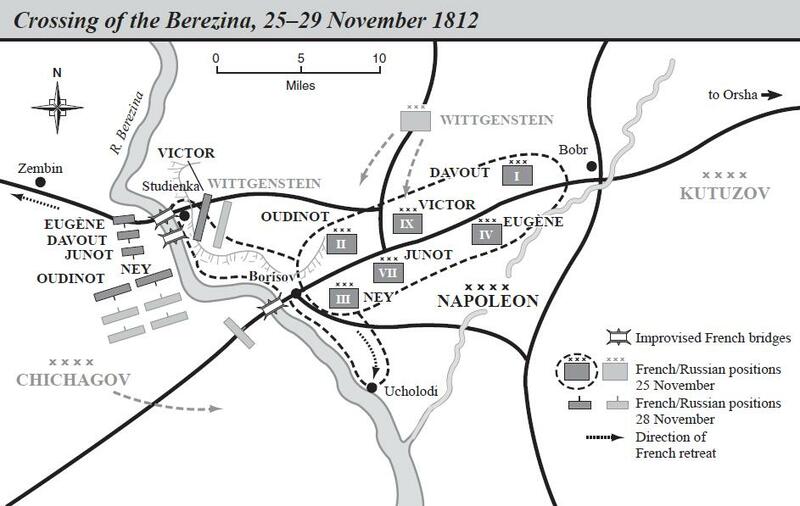 Those of you joining us will find the French are in dire straights with the Russians on the verge of completely enveloping the remaining Polish brigade. Can Alistair stop the Russian steamroller? 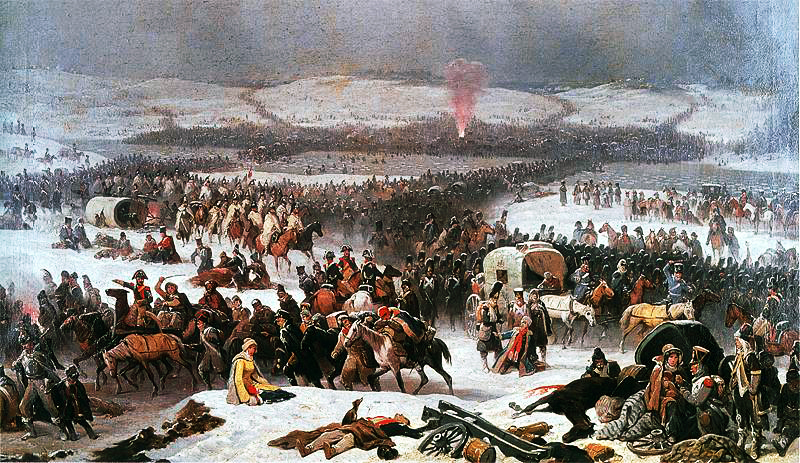 Just a quick note to say that we’re planning to continue the “Battle of Berezina” Rearguard action that the club set-up and played on Sunday – thanks to Mike & Alistair for going around on Saturday to get things ready for Sunday. The Legion have kindly allowed us to leave everything set-up so that we can finish off the game. 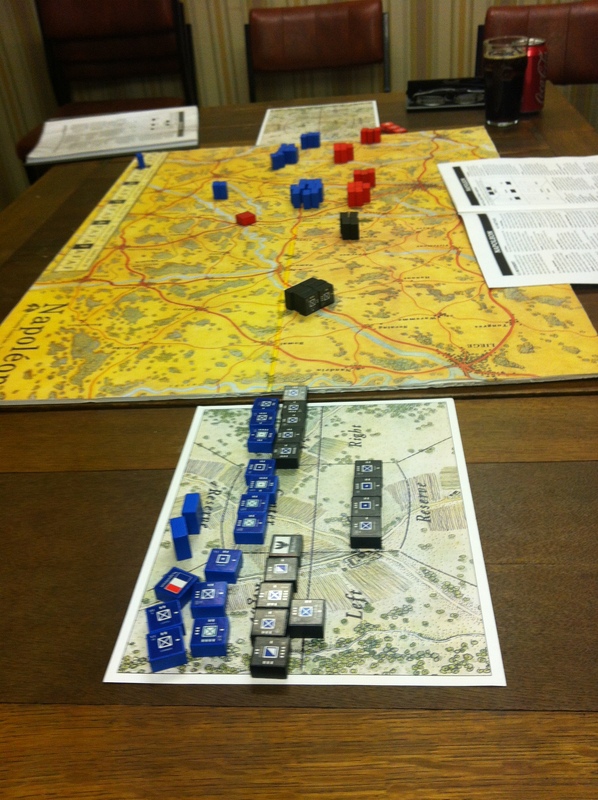 Those of you joining us will find the French in a rather desparate position with the Austrian Brigade suffering a “Mass Panic” result on the brigade moral check. This leaves the Polish Brigade and positional 12pdrs to keep the vital bridges across the Berezina River open. 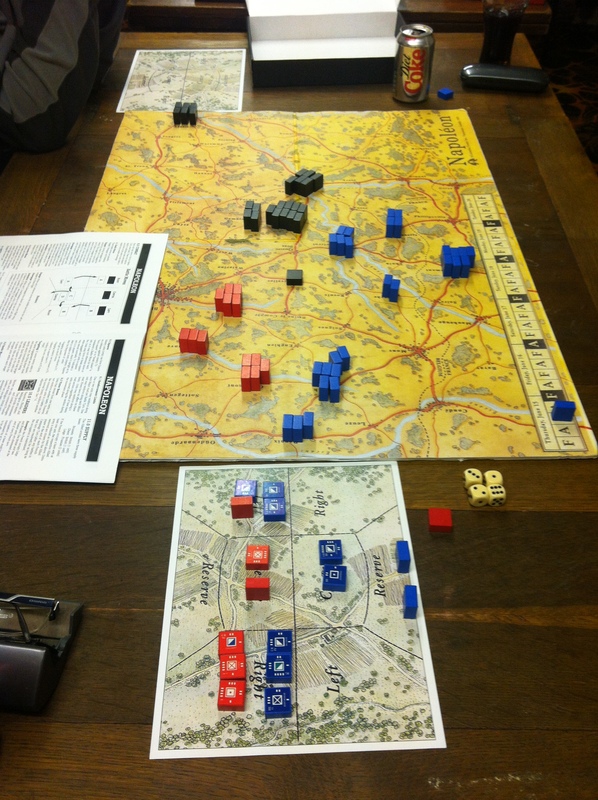 All that remains of the Austrians after their disasterous “Snake-eyes” morale throw……. We’ll be holding our monthly Sunday game tomorrow (17th). 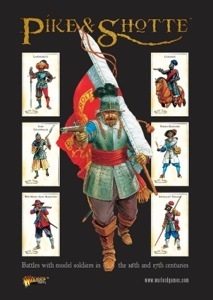 This month we will have 28mm scale Napoleonic Scenario using General de Brigade (Published by Partizan Press and available thru Caliver Books). Alistair & Mike are arranging the figures & Orders of Battle to re-fight part of Marshal Victors rear-guard action at the Battle of Berizina. This focusses on the fighting around the villiage of Studienka and the retreat of the French across the river. If you can let us know if you can make it along so we can gauge numbers that would be great. Usual time at the Oldmeldrum British Legion, 10am to 4pm (or thereabouts). 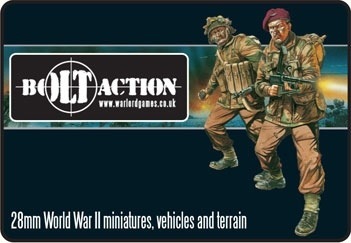 Ross & Roger will be running a small scale skirmish with space for extra players. 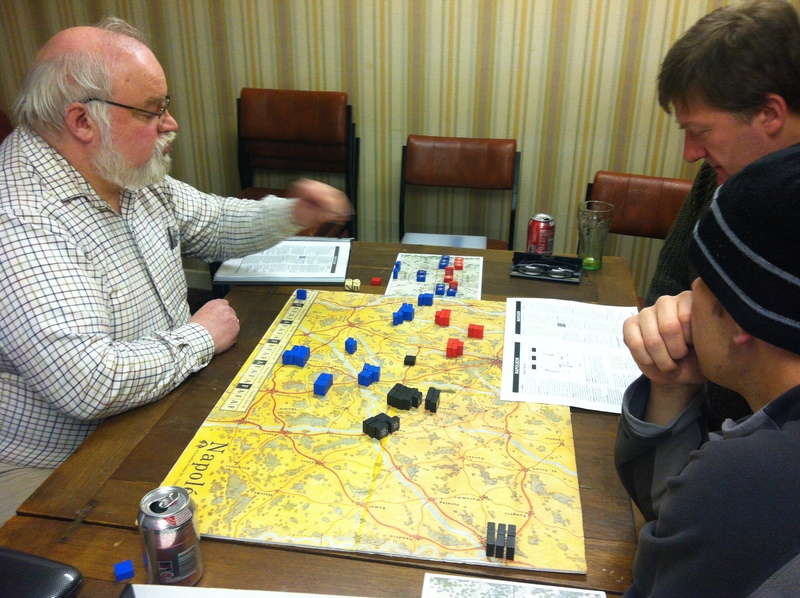 Alistair will be running a board game depicting Napoleons ill fated 1815 Campaign. Places for 2 further players available. This week the Pike and Shotte table dabbled with the early Renaissance period in a very loose recreation of the early fighting on the Flodden battlefield of 1513. 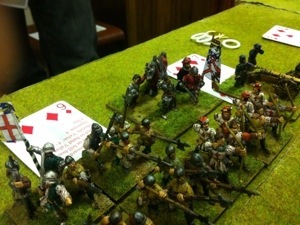 In reality the play was another rules run through, introducing LARGE UNITS. MEDIUM as well as LIGHT ARTILLERY and SKIRMISHERS. The English vanguard comprised an arquebus unit of twelve mercenaries, two archer units of eight and 16 billmen from Admiral Howard’s fleet, 20 levy archers, a large unit of Border Horse, twelve doughty demi-lances and light artillery. 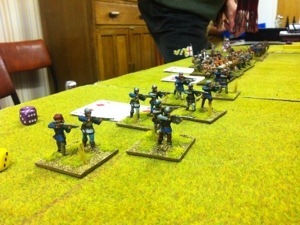 The Scots had three large 36 man pike blocks, a 24 man warband of “highlanders” and medium artillery. The Scots tried to emulate the echelon attack theory, but their command was not equal to the task on this occasion. The highlanders charged in admirable fashion but having blown a gasket getting there, were frustrated by the evading tactics of the arquebusiers. In the centre the Huntly’s attack stalled, while on the right, Home’s pike block was devestated by Howard’s bowmen. Meanwhile, the English cavalry were not idle and carried out a two-pronged attack on the artillery. Although the artillery could be powerful in defence, it was isolated and failed to stop a swarm of Border horse. 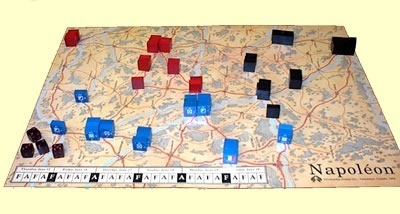 Its destruction also signalled the flight of Home’s pike, ending the game with an English victory. How do you beat an echelon attack? Play the same track backwards. This week saw Roger begin his campaign on the high seas with his motley crew. We decided to run the “capture the Governors daughter” scenario as a starter for 10. Roger picked his crew and set about his dastardly attack on the Governors mansion. After making good headway and killing off some of the outlying guards he became unstuck by his inability to hit the side of a barn from 10 paces. This coupled with a rather unbelievably staunch defence by the sergeant of the guard saw the captain and the remainder of his crew scurrying back to his pirate hideout. Although he didn’t quite manage to carry off the Governors daughter he did manage to make a few doubloons and save the majority of his crew in the post game “what happened to my crew rolls”. His band of treacherous thieves will sail the seas again! Alistair will be running another Pike & Shotte rules play-through. This week will see the introduction of skirmishers to the forces involved. 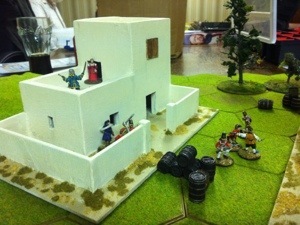 Ross will be looking to run another 2 or 3 games of the quick play pirate skirmish rules as part of the clubs campaign. Drop us a line and let us know if you’ll be along!